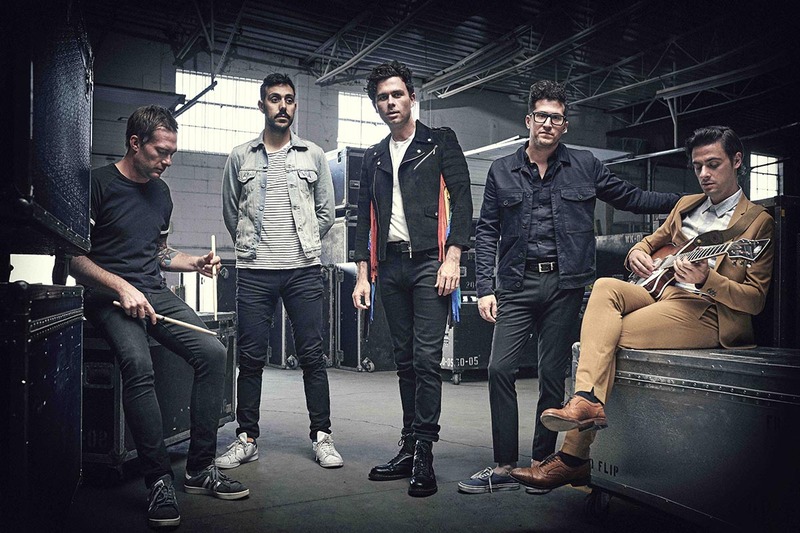 Canadian rockers ARKELLS are back with a new album, Rally Cry, which is out today, and are back in Yorkshire after supporting Frank Turner on his recent run of show, with a headline show at Belgrave Music Hall in Leeds next month. The band, who we described as “the best support band we’ve have EVER seen” back in April, will be heading out on a seven-date headline tour – their first in the UK – and will be wowing the crowds at Belgrave Music Hall in Leeds on November 27. EDIT: We went to see Arkells this week while we were hanging out in Boston. They were playing across the street from the hotel, so figured it would be rude not to go. And were we glad we did! The band were supporting Brooklyn-based St Lucia (check them out, too) and treated their opening slot like a headline show. Led by the rather dishy Max Kerman (who was dancing on a table at the back of the venue during the second song), the five-piece whipped up some serious weekend vibes with their infectious indie-rock. If they can cause this much of a stir with their support shows, we can only imagine what their debut UK headline shows are going to be like. Luckily, we don’t have to wait that long – they land in Leeds in just over a week. Yay! UPDATE: The Leeds show has now sold out! Hope you managed to get your tickets in time!